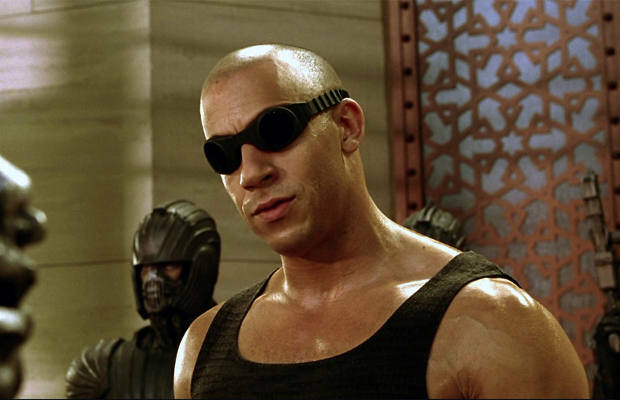 Vin Diesel&apos;s return in the third Chronicles of Riddick movie is being delayed indefinitely due to some pretty serious money problems, according to TMZ. The movie was in the middle of production at a studio in Montreal, but the owner has apparently changed all of the locks on the doors and forced everyone to leave the set after his payments stopped coming in from One Race Films, which is Diesel&apos;s production company. Not only isn&apos;t the owner of the studio being paid, but members of the crew haven&apos;t seen a check in two weeks either. While the studio will let filming resume once the production company starts payments again, there is no guarantee that will happen soon enough for the movie to ever be completed. Until this all gets sorted out, we&apos;ll have to settle for getting our Vin Diesel fix from the surprisingly decent Fast Five and late night showings of The Pacifier.